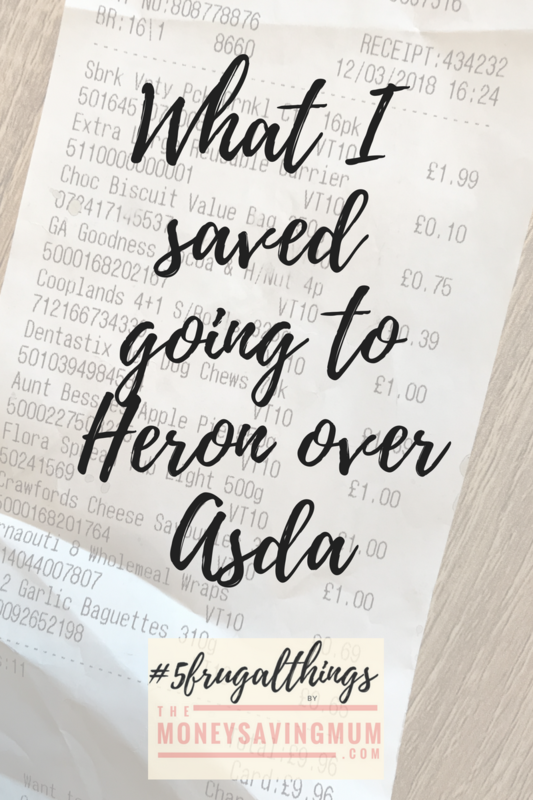 This week I couldn’t wait to share with you my new love for Heron (no not the animal but the food store!). When my youngest goes to dance class there is a Heron literally walkable a little further up the street and the last few weeks whilst she’s been dancing I’ve nipped in store to see what they have. Heres the receipt for the things we bought last week and if we were to buy like for like at Asda we would’ve overspent by: £8.60 !!! I’ve never really ever been in to look before other than to just nip in for our essentials and this week I’ve decided I am NOT going to Asda; I AM going to meal plan and I AM going to do as much as my weekly shop at other similar small stores as much as I possibly can! So be sure to pop back next week to see how we get on when we try Iceland. Think @heronfoods might be my new favourite shop! As I mentioned last week we have only gone and gotten a third dog… yes three dogs and having always been paranoid about my house smelling like dog the third has come at a price with regards to air fresheners !! The fact he is still being toilet trained is not helping at all I’m sure but its really made me more conscious about making sure my house always smelling nice. I picked up these air fresheners from Poundland last week – I’ve mentioned them before on my Instagram and did so again last week because at just £1 they’re an absolute bargain as opposed to the £3+ Glade or Airwick ones! They even fit the Glade automatic spray units too which is my absolute must if you have dogs as they don’t need to be plugged in and are totally safe to leave constantly freshening up the room when you are out! The other day I had noticed on my bank account that Sky was back charging us the full amount for our Sky TV. We had reduced it probably 9-12 months ago now and was paying just £46/month for everything barring multi room but without me even realising that contract had this month ran out and we were back to the most ridiculous amount to watch television … £80 per month! 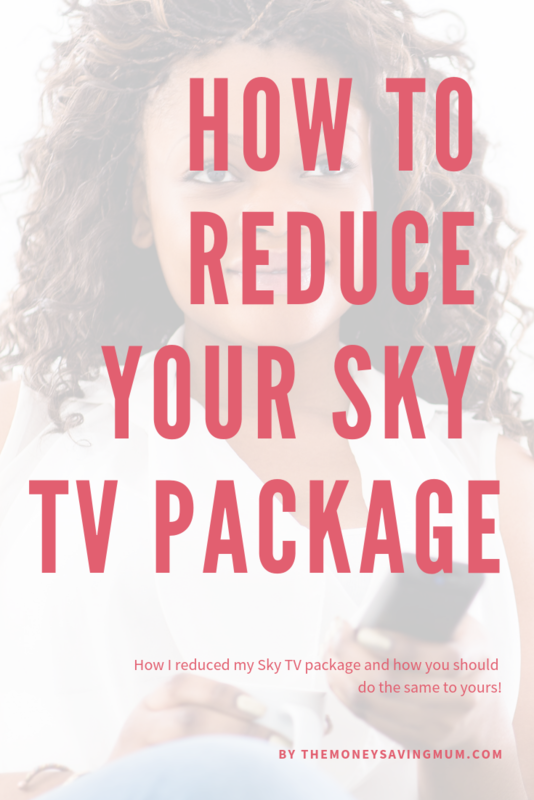 Last week hubby had seen on Facebook a local arial company was promoting a package whereby for just short of £50/month we would get a Sky Q box plus everything we had now for the next 18 months! We dropped Sky a quick chat online and they told me they couldn’t get near it. I said not to worry I will get in touch with the guy local to us and call again tomorrow to cancel it once I have the new one set up. Yesterday hubs had decided to go with the local company so gave Sky a call and went through the cancellation process…. guess what…. well I’m pretty sure you can guess what!! ….they offered us the full package we have now PLUS a new Sky Q box for just £48 !!! Why they couldn’t offer it via the chat the other night I’ll never know but for future reference girls & guys it may be worth actually calling them up rather than trying to speak to them online as clearly they have A LOT margin to play with! Just make sure you know what you are currently paying & what you are already getting by logging onto your Sky account before you call and do NOT let them say ‘oh well if we cancel that we can knock so-and-so off’… tell you want everything that you have now and I have no doubt you will get it ! I took full advantage of it being Cheltenham Festival this week (well as best as I could seeing although I was working for 3 of the days!) and although I don’t imagine to have earn’t a massive whack compared to some I will be totting it up this weekend so keep your eye out for that. If you haven’t heard of Matched Betting you can find my blog post and some information on it here but although today is the last day for the Cheltenham; DO NOT rush into it! There will be plenty of opportunities for you to start as you mean to go on with the football fixtures this weekend for example and/or the ITV racing which is on every Saturday so why not bookmark this post and come back this weekend once the kids are in bed and read what it’s all about. Lastly, this week I was very kindly gifted some amazing giant surprise eggs by The Original Egg Surprise. They are absolutely fabulous and are going to work so well with our Easter Disney holiday reveal! They currently have a 20% promotion on their 14″ surprise eggs now too using code EGG20 now so go check them out. Now to work out what to put in them …. Previous Post Oreos… how do you eat yours? Next Post Meal planning Monday…. Pets are one of my biggest expenses, our newest dog is not totally toilet trained so we spend a lot on making sure the house doesn’t smell! We stocked up on Febreze when we saw it in the pound shop! They’re worth it though ?